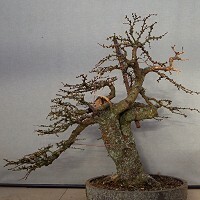 This Japanese Larch was collected by good friend and colleague Peter Snart, owner of Willowbog Bonsai. It sat for years on the bench, unloved and unwanted despite the relatively affordable price. 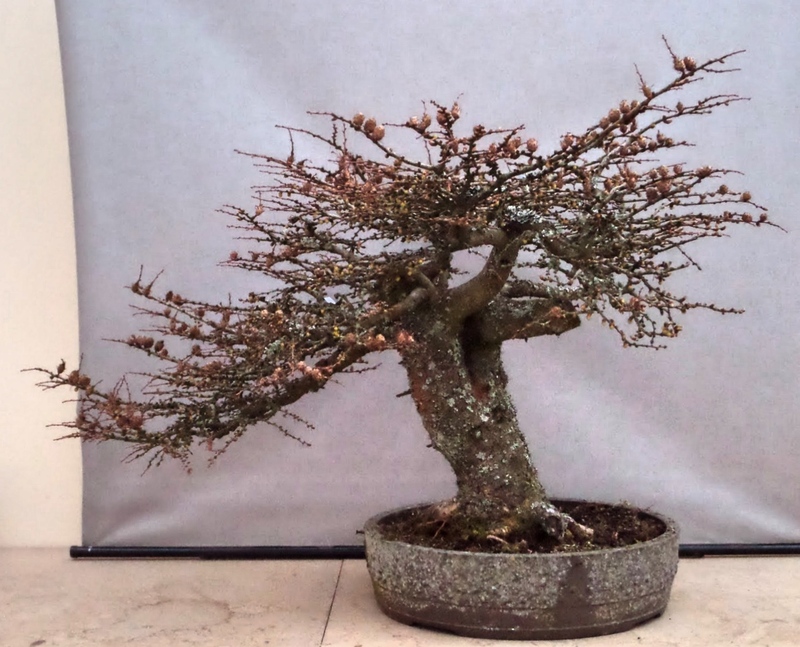 After three years of no interest, despite suggesting it to a number of students, I decided to buy the tree, style it and keep it up at Willowbog, working on it when visiting three times a year for the regular workshops that are held up at the Nursery. 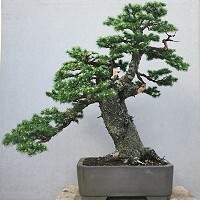 The first styling was relatively easy as the base structure of the tree was hidden in the compacted top. A piece of metal rebar was used to help pull the thick yet flexible trunk up. Scar tissue was deliberately created to allow the trunk to fix in position. 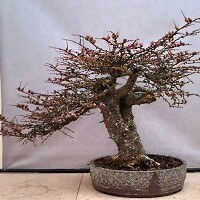 Over the following years it was repotted by Mr. Snart and pruned and tweaked by myself when I was able. 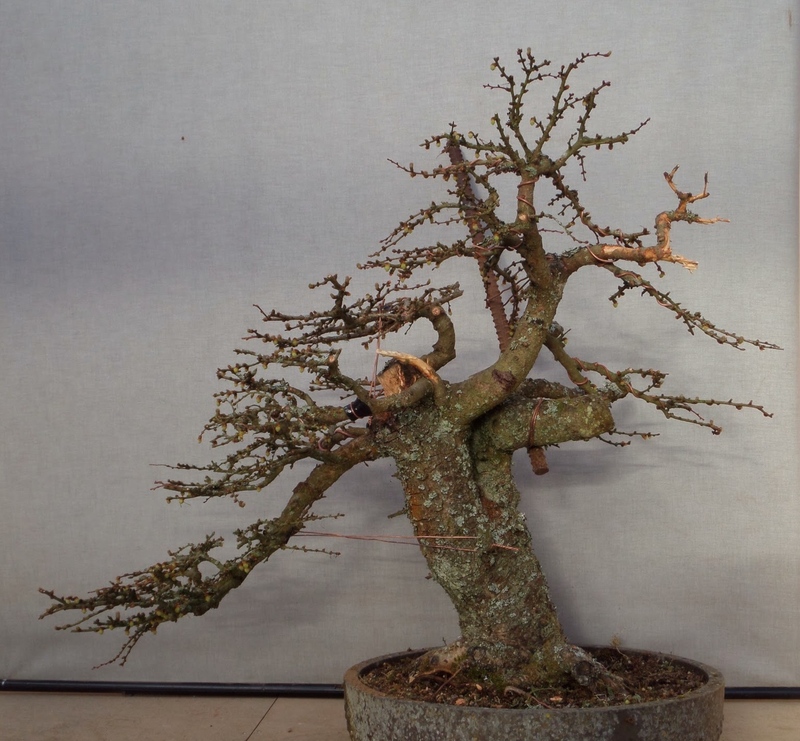 There are a few years left of work to do before it realises its full potential, but working with the tree has given me an insight into the idiosyncratic branch structure of Larch as a species and the potential for less traditional designs. The evolution of the second apex in the middle left hand side is evidence of this. 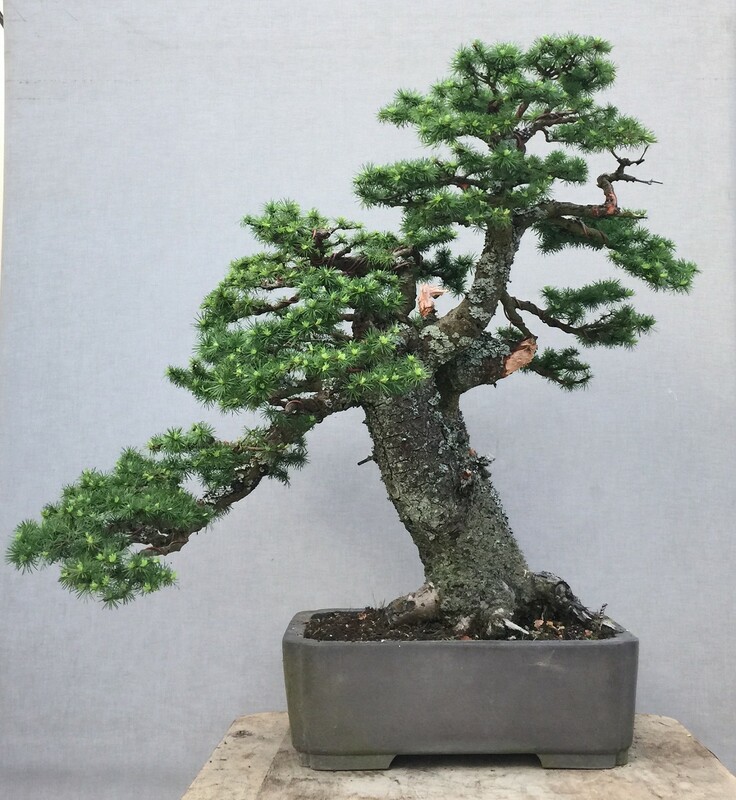 In the initial styling it had been compacted, but as the tree and I myself have aged, it has been set free to grow and break out of the traditional triangular shape.